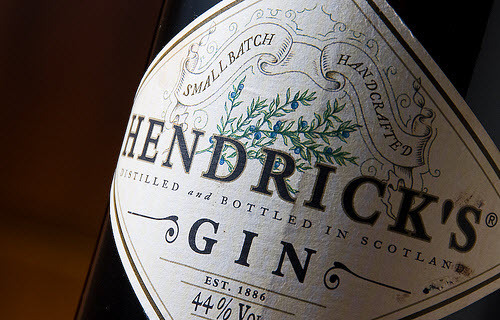 Infused with both rose and cucumber, Hendrick’s Gin has virtually taken over the mainstream gin market. This is a significantly high-quality product that is made in extremely small batches. “Small batch” typically means 1,000 liters or fewer. Hendrick's distills their batches 450 liters at a time, which gives their master distiller even greater control of her careful artistry. Quality ingredients abound and only the finest will do. The remarkable Bulgarian Rosa Damascena and specially selected cucumbers from the finest producers are at the front of this incredibly mixable product. However, it does not stop there. Ingredients such as cubeb berries, elderflower, chamomile, meadowsweet and caraway seed also grace this delectable potion. 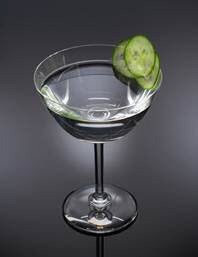 We had a field day playing with this spirit, but for me, a Hendrick’s Martini with the vermouth in and out and a cucumber wheel represents its finest hour! In a long glass, combine ingredients. 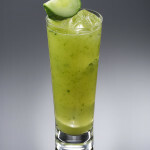 Add ice, top with sparkling water, give a gentle stir and garnish with a cucumber spear or wedge. 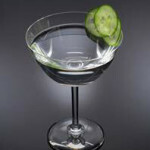 Stir in an iced glass until well chilled and strain into a chilled martini glass. 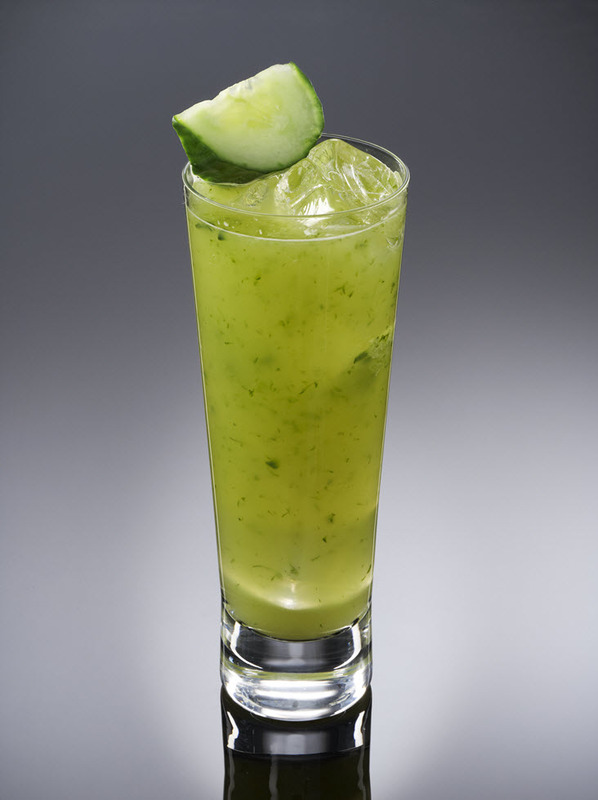 Garnish with a cucumber wheel and serve.